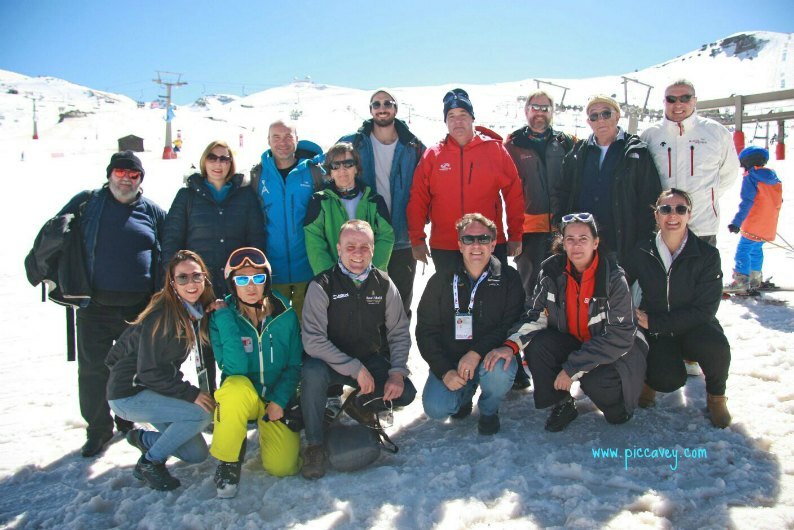 Over the past 10 days the top World Class Skiers met in Sierra Nevada Granada competing in the FIS World Championships. This international event had an impressive opening ceremony attended by the King of Spain. Sierra Nevada Granada is a ski resort located in Southern Spain and of course the sunshine was guaranteed throughout the competition. I was thrilled to be invited to Sierra Nevada 2017and attended the first days of the competition. I had practically packed everything I could possibly need in the mountains but I didn´t remember to pack suncream! Those first few days were very hot and sunny and a few of the people even got sunburnt up there. If you do go to Sierra Nevada sometime please remember to pack your Sun Cream even if you think you may not need it. You´ll be surprised. Over the 10 days of the competition the weather was good except for a few days where the winds were strong and a few of the rounds got delayed or postponed. The opening ceremony was at the Palacio de Congresos in Granada. This fabulous event showcased the best of Granada culture. Flamenco music, Magician Mago Migue, local dance troops and even Graffiti by El Niño del las Pinturas. This Made in Granada theme was a real success in highlight local talent and creativity with a modern twist. The star perfomance by Marina Heredia was a heartfelt rendition of a F.G Lorca poem. The participants in the competition were a major part of the opening ceremony. A long line of flag bearing athletes paraded through representing all the fifty countries attending. A few that surprised me were Skiers from Iran India and Barbardos. I didnt know that Snowboarding in India was even a thing! It was great to see such a diverse group of Snowboarders and Skiers. After the opening ceremony, we headed to Oleum for a tapas selection. This restaurant is located close to the Palacio de Congresos, on Calle San Anton. It also has parking nearby. Their Pastela Moruna, moroccan style chicken pie was my favourite hands down. So what I did I see at the event? On Day 2 of the event I watched the Dual Moguls classifications and finals, both Men and Women. This was just above the Borreguiles area. Although the Men´s final was a little chaotic I was thrilled that the Japanese skier Ikuma Horishima took the title. His skiing was amazing to see. See the video is below. 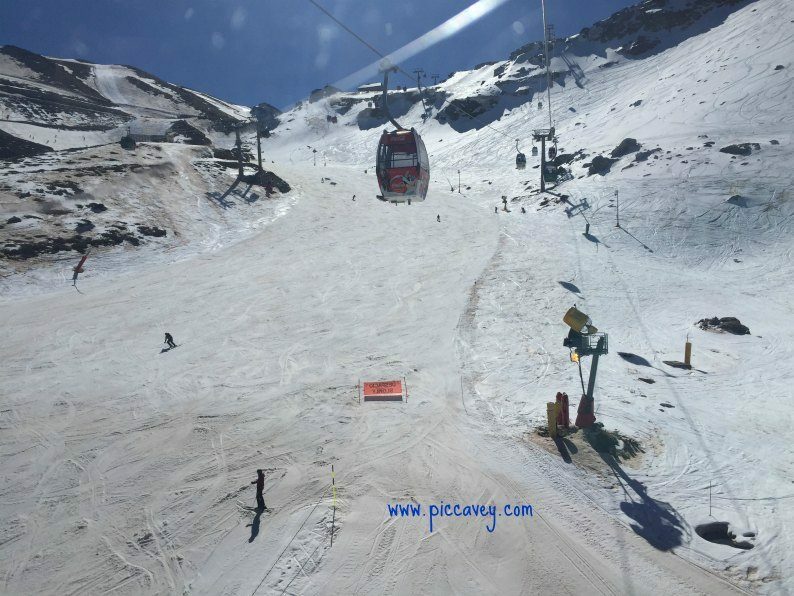 Sierra Nevada has pistes open at nightime throughout the ski season. So some of the most spectacular events at FIS Freestyle Championships where held after dark. Aerial Jumps and the Halfpipe were particularly impressive. 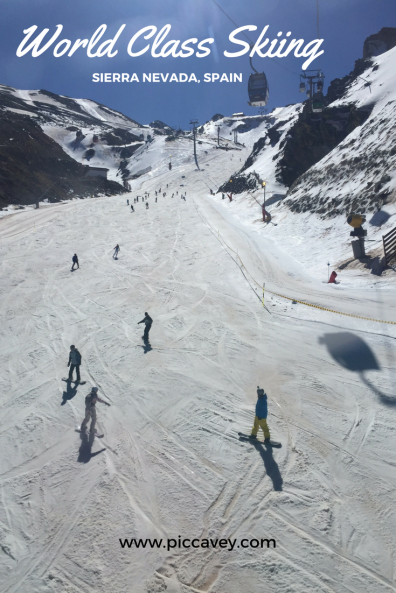 These skiers and boarders are gymnasts on the snow. It made really was edge of your seat viewing. For the event I stayed in Monachil at the Hotel Granada Palace This hotel had very spacious and comfortable rooms. I even had a view to Veleta mountain from my window. This was especially beautiful to see at sunset as the white snow turned pink with the fading light. This location was practical for the ski station. The town of Monachil is at the foot of the Sierra Nevada Mountains making it quick to drive into Granada city but also on the way to the ski resort. Best of both worlds really. One of the days I had lunch in Monachil at Los Cerezos A typical rural restaurant with views of the countryside and a delicious hearty meal. Packed with lots of local produce and homemade dishes the menu was varied and good value for money. As always my favourite was dessert. A selection of Leche frita, carrot cake and other local sweets. Sierra Nevada N.P is a wonderful place to explore, not only for skiers and snowboarders but also for hikers and other outdoor activities. 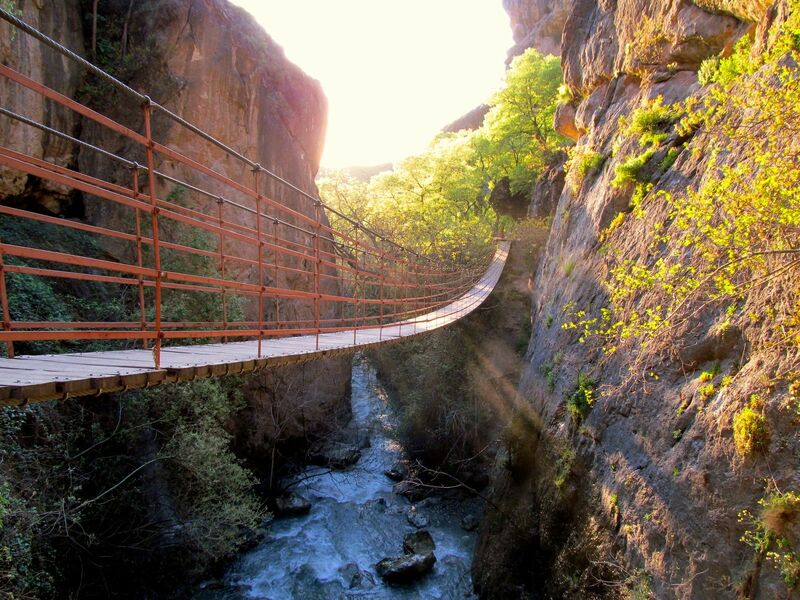 Visit Sierra Nevada Granada in Summertime and enjoy horseriding, mountain biking or walk along the Indiana Jones style bridge at Los Cahorros in Monachil.